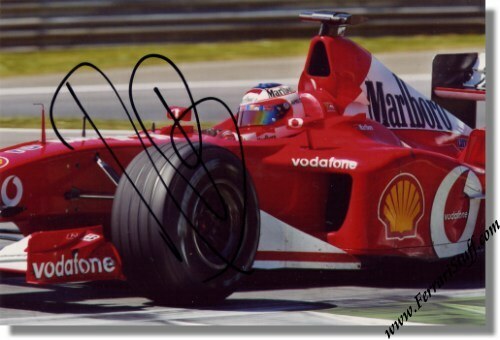 Rubens Barichello signed Ferrari Photo. This is a great photo of Barichello in his Ferrari, signed by Rubinho himself. Rubens boldly signed it in black marker.